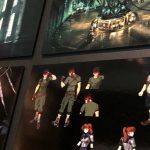 Square Enix is showcasing brand new concept art of Final Fantasy VII Remake at their special “Farewell Stories” exhibition honoring Final Fantasy’s 30th anniversary at the Mori Arts Center Gallery in Roppongi Hills, Tokyo from January 22 to February 28. Ahead of the event’s official opening, members of the press were invited to attend the exhibition, and images of the game’s concept art have appeared online. 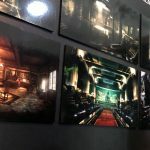 The artworks are part of the “Words Aerith Left Behind” exhibit, in which the Sector 5 Church where Aerith and Cloud first met is on full display. Spoiler in case someone did not finish the game yet…. I will cry when I see those three characters die again in the Remake version. Interesting seeing these environments from these angles. A lot of FFVII, especially Midgar, had a very high — if not top-down — camera. I’m gonna be all over this game. I think the term you’re looking for is “isometric”. This looks very close to the original game, especially when it comes to the colours. Well it’s all just concept art, would be pretty odd if the art basedon old art didn’t retain similar colour schemes. It sounds odd, I know, but with remakes, keeping that close to the original is not always a given. Devs sometimes decide to make drastic changes. 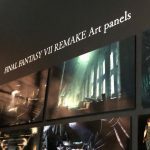 Seeing Nomura’s track record in reimagining FFVII, it is a surprise. AC’s colors, characters, tone and story don’t match with the original. Scariest thing is, you’re probably right! I did cry when Aerith died, it was the first death that affected me. Maybe you’re not as emotional as others can be, but to call them liars because they have more empathy than you is unnecessary. its still 20 years old, if someone didn’t find the time to play it in 20 years, they clearly have no intention of playing it. Please tell me you’re joking. It took me 6 years to beat FFVII off and on, it has absolutely nothing to do with playing games 24/7, lmfao.